Emirates National Oil Company (ENOC) Africa has won a competitive tender to import fuel as a part of the Petroleum Bulk Procurement System (BPS) and is preparing to expand of its Tanzania oil program. 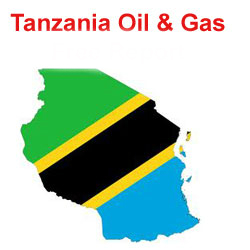 The original tender attracted six oil companies including five foreign and international companies, but was awarded to ENOC Africa whose quoted offer of USD 45.771 per Metric Ton (MT) was the most beneficial to Tanzania traders and consumers. “ENOC Africa takes note of the steadily increasing trend of economic development of Tanzania and East African region in the next few years, and recognizes the need for state-of- the-art storage facilities, at industry affordable costs for the wholesalers, in the region,” he said in the Daily News report. Mr. Esmail went on to indicate plans for the oil company to build storage facilities across Tanzania, Uganda, Rwanda, Burundi, DRC, Zambia, and Malawi in a move that will secure sustainable reserves for Tanzania and its neighboring countries to support the domestic needs of the country as well as its wholesale exports. ENOC Africa is a part of the ENOC Group through a joint venture between Petro (T) Limited and Dubai’s ENOC Supply and Trading LLC (ESTC) which produce an annual turnover of USD 15 billion in revenue from operations in oil and gas trading an in refining and retailing.